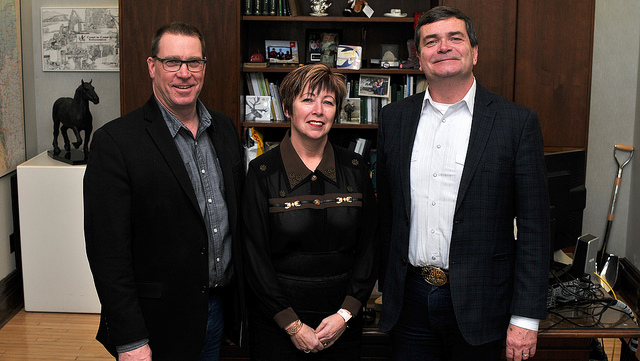 Agriculture Societies can now get funding from the Province to cut costs and emissions. On Thursday, February 7, a $10 million grant program was announced which will be paid for by 2018-19 Climate Leadership Plan funds. The program will support facility upgrades such as lighting, heating, ventilation and rink/arena equipment. Alberta Agriculture and Forestry Minister, Oneil Carlier, says ag societies have been looking for ways to improve efficiencies because of the carbon tax they're paying with aging structures. "Here is what the Climate Leadership Plan, including the carbon levy, was designed for. It's to have the funds available to find those efficiencies," Carlier explains. "It's a great example of what can be done in rural Alberta." An estimated 260 agriculture societies will be eligible for this funding. The Alberta Association of Agriculture Societies Convention is also happening in Edmonton this weekend.